Regarded as the authoritative reference and text, this handbook presents the most effective, widely studied approaches to couple therapy. The distinguished coeditors bring together other leading experts, most of whom developed the approaches they describe. Adhering closely to a uniform structure to facilitate study and comparison, chapters cover the history, theoretical and empirical underpinnings, and techniques of each model. The volume also describes cutting-edge applications for particular relationship contexts (such as blended families, LGBT couples, and separated couples) and clinical problems (such as partner aggression, psychological disorders, and medical issues). Chapters on interpersonal neurobiology and intercultural relationships. Chapters on couple therapy for PTSD, functional analytic couple therapy, and the integrative problem-centered metaframeworks approach. Extensively revised with the latest theory and research. 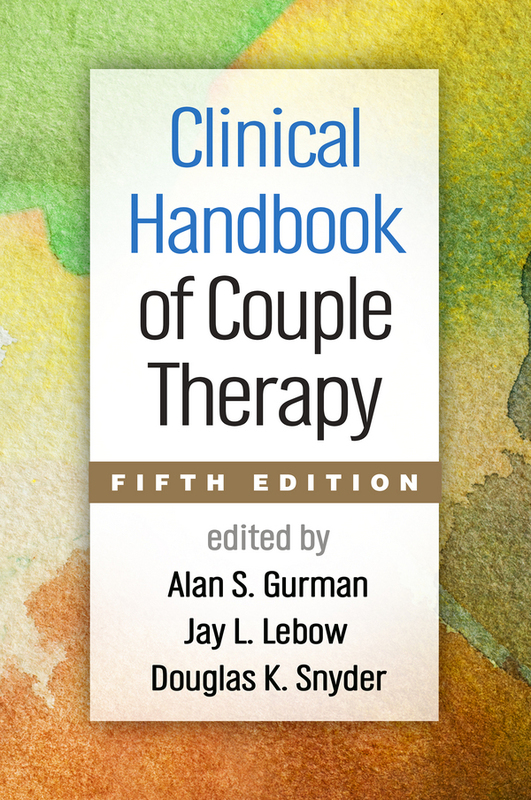 See also Clinical Casebook of Couple Therapy, edited by Alan S. Gurman, which presents in-depth illustrations of treatment.